Hi everyone! 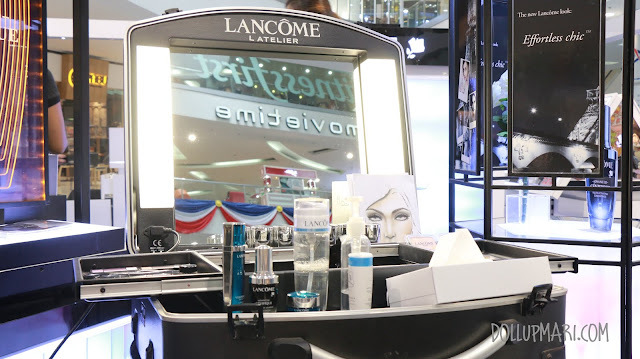 I think a lot of you who follow me on instagram have seen photos of Lancome Philippines' gifts and whatnot, so here's the legit coverage of the event! 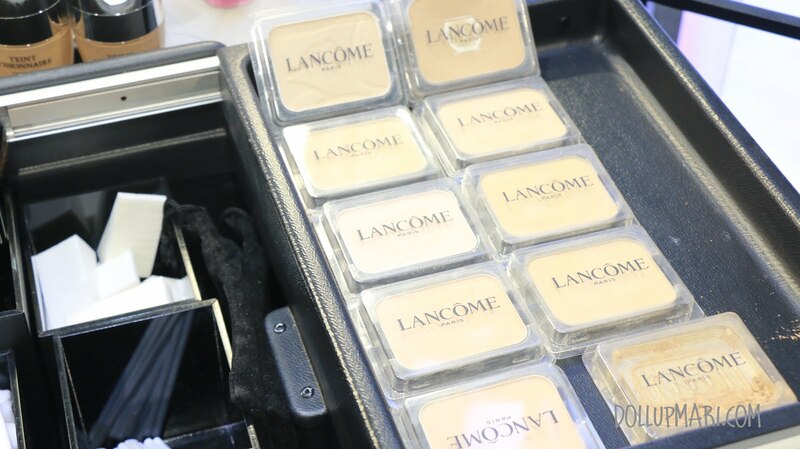 I attended their workshop last Friday on 15 minute makeup looks, and with it came a lot of information about their skincare. 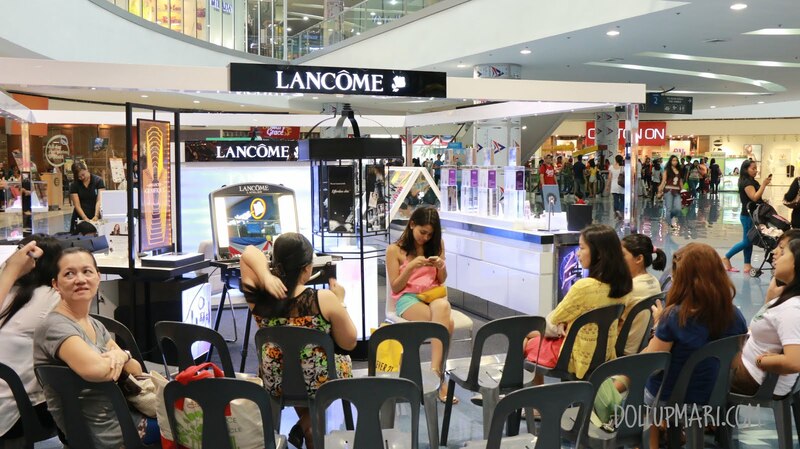 This was led by Mr. Jarwin Manoza, assistant counter manager of Lancome Philippines, with the help of their store staff. I thought that it was just about makeup, but boy the skincare routine was as long as a play! 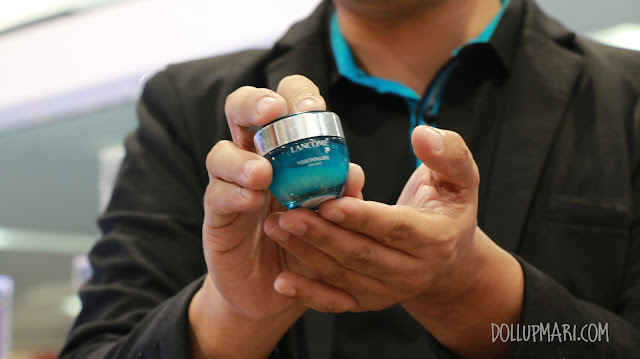 Not that I'm complaining because I am aware that skincare really is to be taken that seriously, but more of I'm glad to have known a lot about their product lines for skin. I have Lancome products and all, but mostly makeup. I have some lip glosses, an eye pencil, and I've encountered their mascara and eyelash products. As for skincare, I only have their vintage sunblock and that's it. 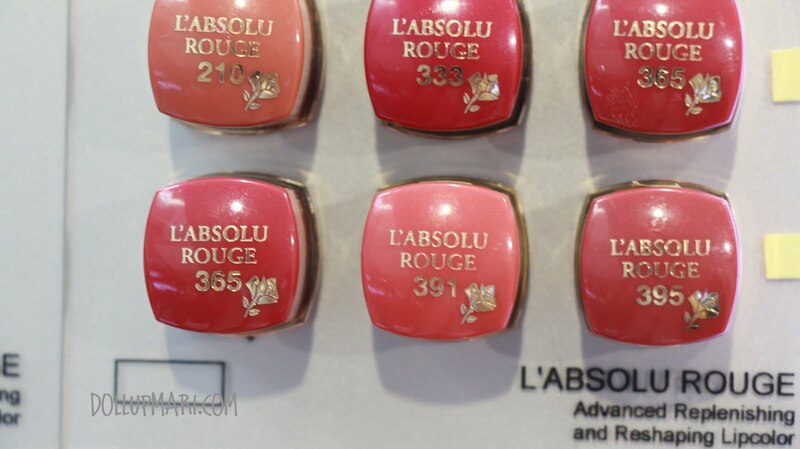 I say vintage because the old sunblock was pure white and made me look a step closer to being a geisha. The current formulation is now in BB cream form (if I'm not mistaken!) and now comes in skintone color. So anyways, here are some (I mean tons) of photos from the event! This was the traincase where they had everything. I wish I had a traincase. And I wish it had legs as strong as this trancase's! These were not the brushes used in the event, but I think this is more or less a duplicate set of what was actually used in the demo. 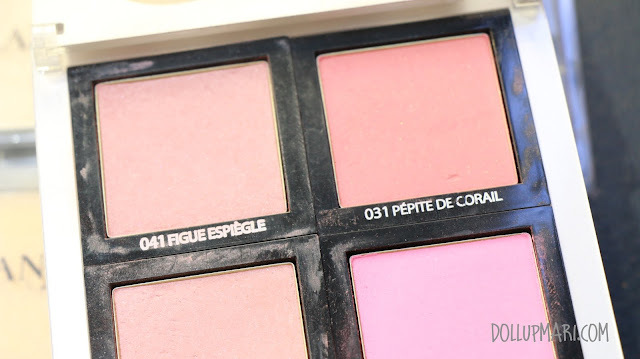 I am eyeing that blush brush because it's double sided and the puff part is now my favorite blush brush shape! 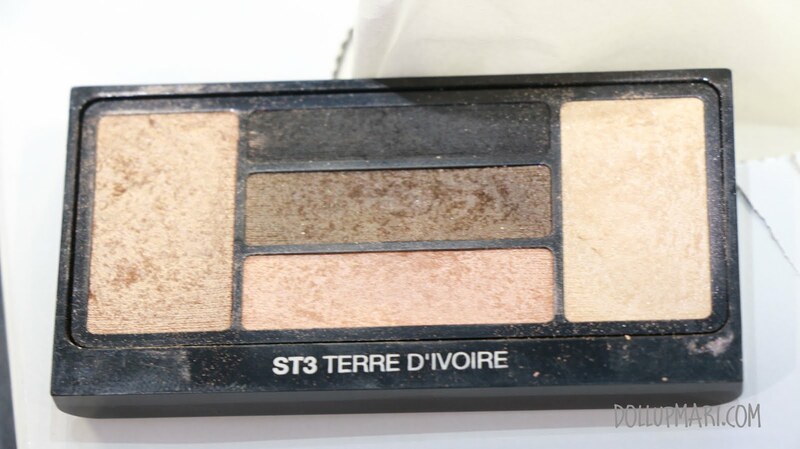 Between this and the triangle kind of blush brush, I prefer this. And these were all the products used in a span of fifteen minutes. The Asian in me was awakened because the skincare routine I have is so bare compared to this! I mean like I mostly just have cleanser followed up with toner and either my serum/cream or sunblock and that's it! I'm thankful I took a snap of every step of the skincare because I most definitely will not be able to remember which product preceded which! First thing they did was cleanse the model's face with a cotton pad using Eau Micellaire Douceur. This is their take on the liquid makeup remover, and consistency wise it's between Bifesta's and Bioderma's. Bifesta's is like water, Bioderma's is like contact lens fluid, and this is in between. It comes with a mild green tea like scent, unlike its two competitors which are unscented. Up next they massage in Galateis Douceur (or maybe they wiped it with tissue after and I just forgot? HUHUHU). This is their take on a milky in-between makeup remover. It's not creamy, but it's not like the pure oil based cleansers out there, and feels milky yet a bit oily at the same time. It's mostly creamy though... It also comes with a nice natural scent. 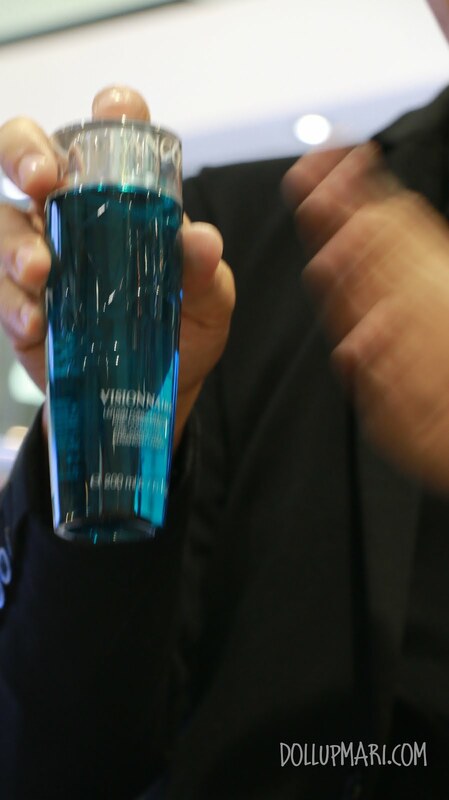 They follow up with (I'm not very sure about this) Visionnaire's LR2412 Pre-Correcting Advanced Lotion. This is the toner for the routine. And this is Jarwin with his 'oh yeah this is the best toner you'll ever meet this baby can bring world peace' facial expression. 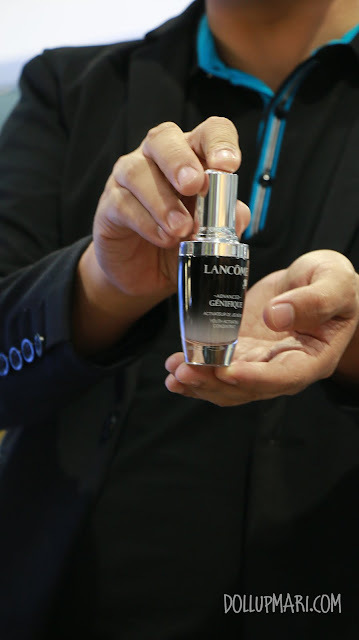 They then follow up with their flagship Advanced Genifique youth activating serum and apply it all over the face. 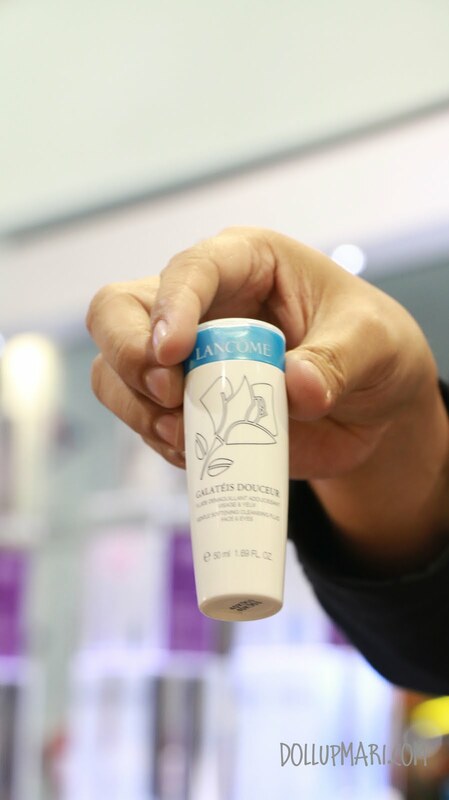 They've actually got this 7 day promise going on, like if you use the product for seven days, it'll supposedly lighten dark spots, whiten dark circles, and tighten the skin alongside improving the overall texture of the skin. They then gave a massage to the under-eye area using Genifique Yeux Light Pearl eye serum. It came with wand that had this cute bubble shaped tip for use when massaging the serum in. 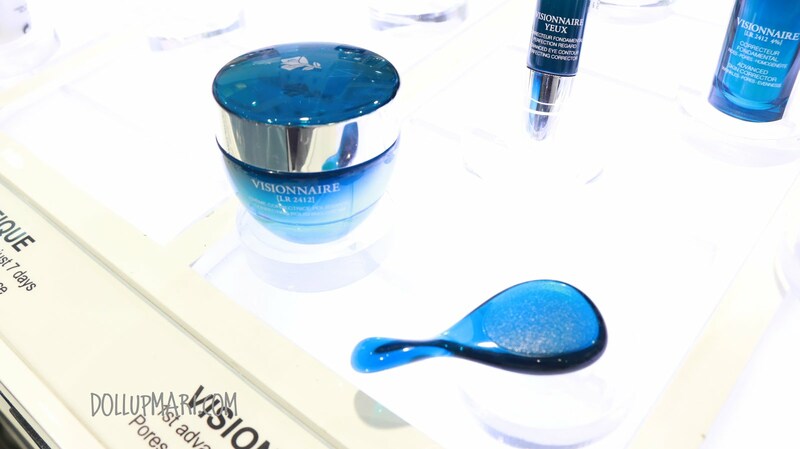 The next part is applying Visionnaire's Advanced Skin corrector for wrinkles, pores, and evenness. I think they applied this because this is the skincare line with LR2412, a reagent that is supposedly able to penetrate the dermis of the skin, bringing nourishment to the next level. 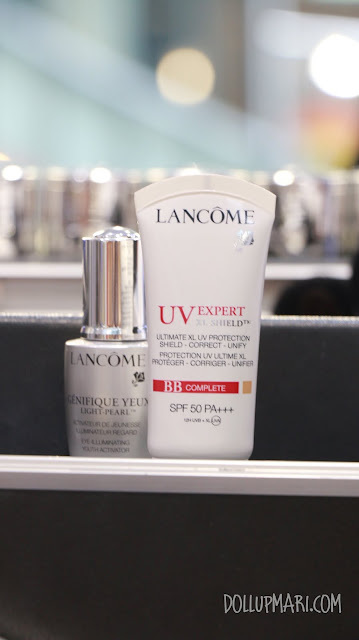 And the last thing in the skincare story is sunscreen. They now have BB creams! This is the final look for the day. Jarwin tackled foundation, concealer, eyebrows, eyeshadow, eyelashes, eyeliner, blush, lipstick, and lip gloss. Doesn't sound like a lot, but it's already enough to come up with a simple yet presentable makeup look that can be done quite easily. He also gave away the secrets for women who are so frustrated with their eyeliner not cooperating with them in the morning so be sure to check out the video! Even if I'm a makeup artist, I will still consider doing this in the morning. Eye pencils and eyebrow pencils. I am just not sure which eye pencil and eyeliner did they exactly use on the model. Hypnose doll eyes mascara, Gloss in love lip gloss, and the eye pencils used. Now you can see that there's concealer in there given how fat the bottle cap is... for women who do not have extremely dark under eye circles, this is a really good thing because you don't need to match your skintone for a second time anymore because once you find your foundation match, it more or less already is your concealer match. Mascara application in action... I like the wand of this mascara because it's a lot like my favorite Heroine Make mascara wand. 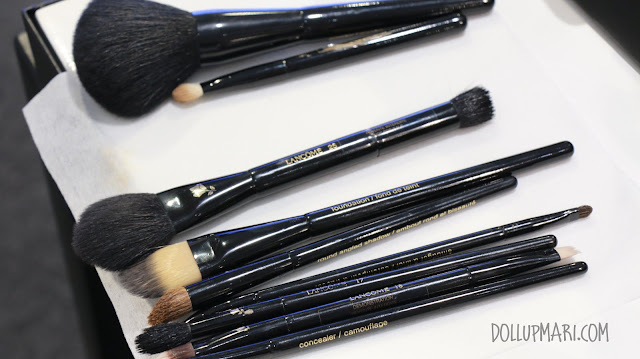 Heroine Make calls the technology 'full catch', and that's because brushes like the one you see on the photo are carrot shaped. You use the 'fat' part to swipe upwards (with the wand placed horizontally) and get most of the lashes done. 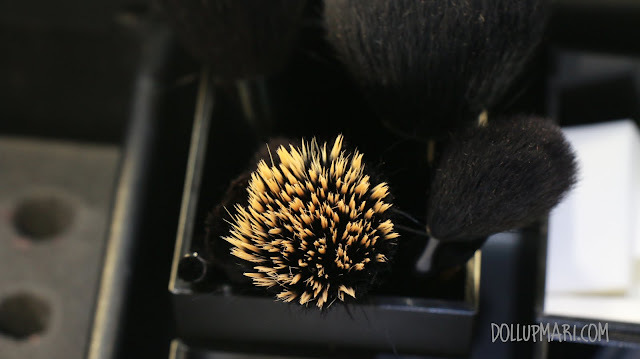 And then you use the 'thin' part to either apply vertically to amp up the curl and volume (as seen here), or to apply on the more detailed parts to avoid smudging and messes. 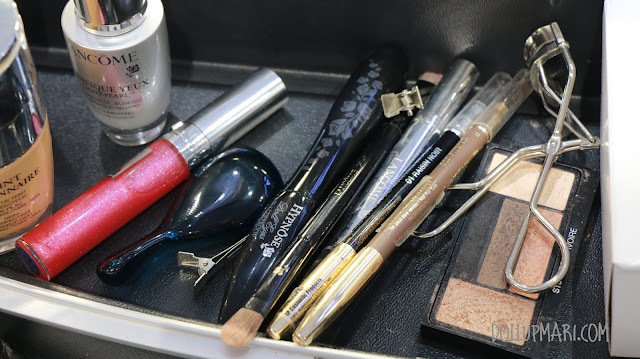 The thinner part also gets more mascara as it's squeezed less by the rim of the tube, and this makes mascara application faster as there is plenty of mascara to go around. 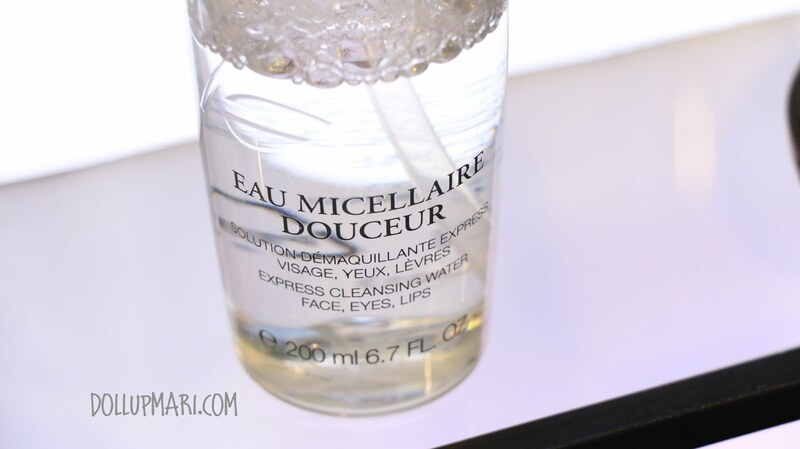 And here, I just took more photos of Eau Micellaire because I was so amused with it. 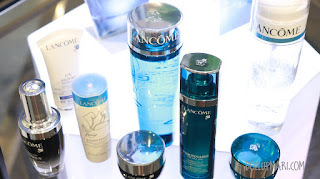 I thought that only Bifesta and Bioderma had such products, but turns out Lancome also has its own take! 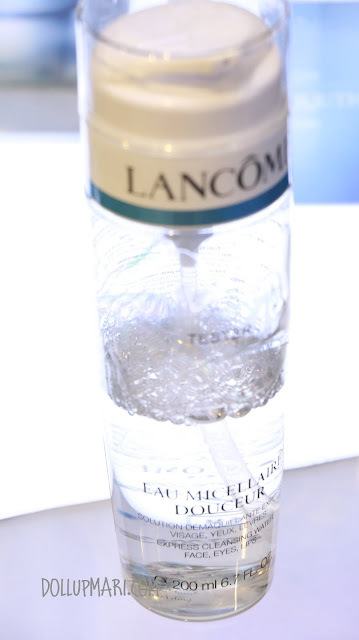 And yeahhh, as I type this now, I now remember that L'Oreal (the mother company of Lancome) also has a L'Oreal brand micelle solution. 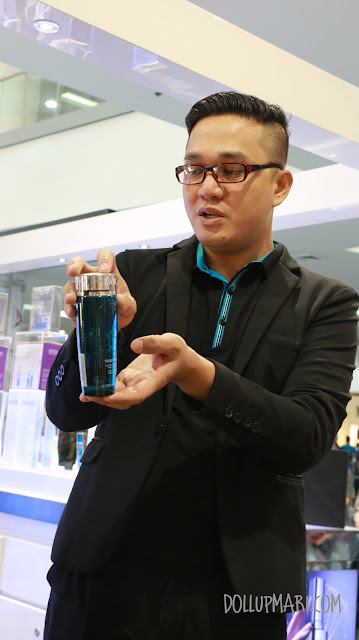 L'Oreal truly has its own technology for coming up with its own version of micelle solution. This one is scented, so I think that if you are bored with its unscented competitors, you can give this a try. It's more or less okay on the skin, no friction problems I think, but will probably not be as effective as Bifesta's when it boils down to makeup removal itself. I also tried to use this to wipe off glittery eyeshadows off my arm, and a lot of the microglitters did not come with it. As a gentle cleanser though, I think this does the job. 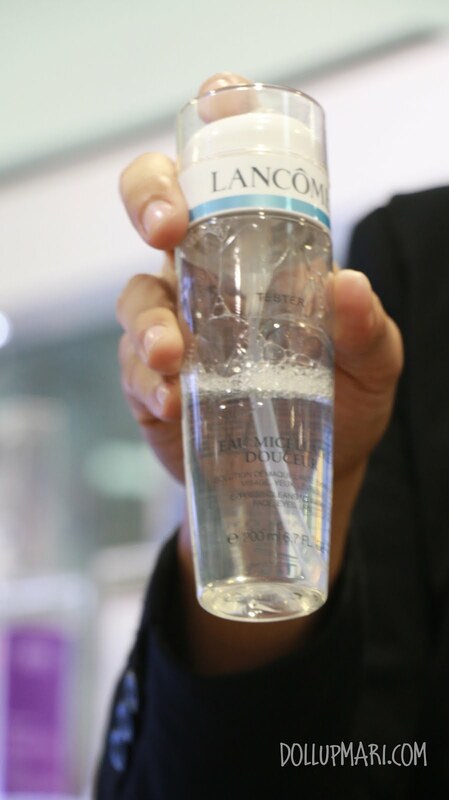 You can bring this in your bag in the bottle itself or dispense it in another for a quick refreshment to the face. Instead of toner, this is also sometimes a better way to get oil away from the skin because sometimes alcohol based toners are too dehydrating that the skin just retaliates by producing even more oil than there was before. 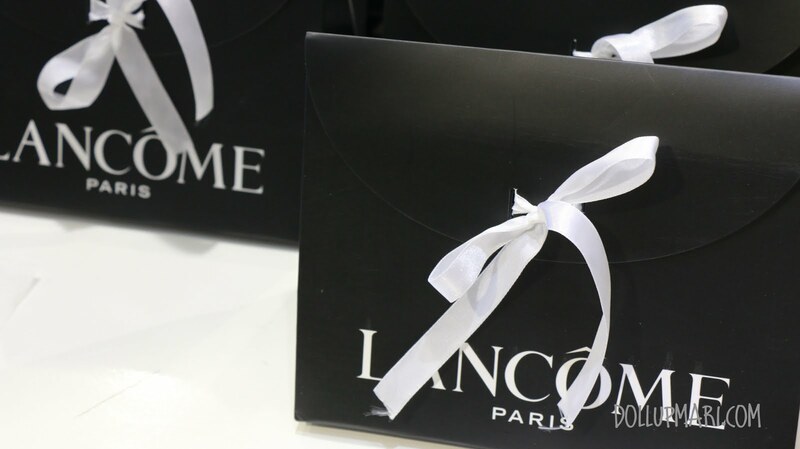 And thanks for the goodie bag, Lancome! 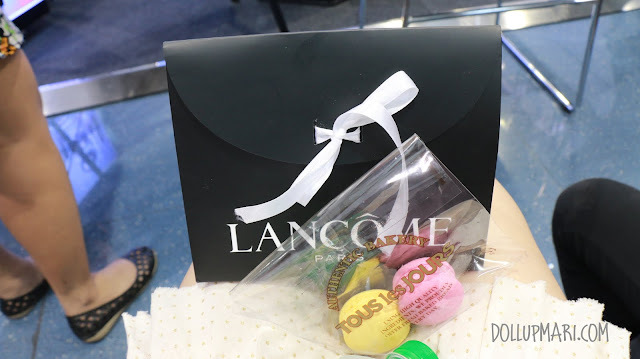 This goodie bag came with a baby lipstick, a bottle or Galateis Douceur as big as the one in the picture above, and a sample tube of Genifique youth activating serum. They also gave us some macarons for snacks (how sweet of them, pun intended). And yaaay, that's it for this event! Would you like to see more event covarage? Please do tell me in the comments box!